The headline we are all waiting to hear. a) A Bermuda Triangle/Blackhole/ Alien Abduction type scenario. d) Russia diverting attention from Crimea. e) USA shooting down the plane due to top-secret documents onboard. f) China shooting down the plane due to a large amount of anti-communist party members onboard. Speculation is a reaction to an emotional response. Like when a republican’s head explodes after you tell him the Iraq war was a mistake (Though let’s not rule out lasers on this one too). Using rational is something we save for math class and legal proceedings, not for missing Malaysian planes or trench coat mafia attacks. When we broach a subject from an emotional center everything turns into grandeur. For example, a man from the Midwest built crosses bearing the name of everyone who died at Columbine High School. He brought them to Colorado shortly after the shooting and put them up as a temporary shrine. People loved them. However two of the crosses one father forcibly destroyed. The names Dylan and Eric were upon them. Now the man who made these crosses constructed them based on rational. Fifteen people died. Fifteen crosses. All fifteen, regardless of who they were, had parents and/or relatives devastated by the attack. But to the families of thirteen of the victims a very visible line differentiated two of them. You see, you can argue with rational. But you can’t argue with an emotion. Every one of the flight 370 speculations listed above is fueled by an emotion in some form. Maybe you have a fear of the unknown, or a big brother complex, maybe a deep-seated mistrust in other people or….lasers. My belief? 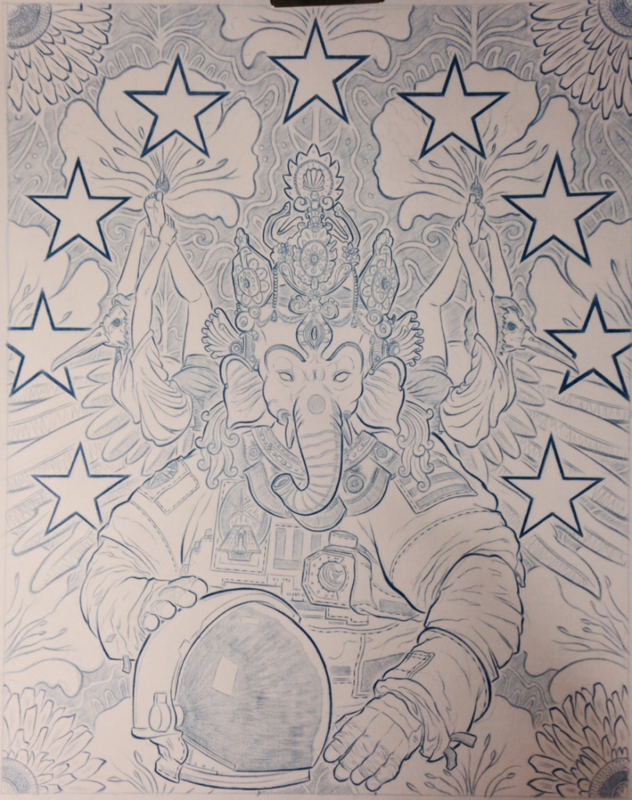 That the Hindu god, Ganesh, needed to escape to space and he commandeered the plane to exit earth’s atmosphere. Below is a mug shot of the person I believe we are looking for. And please. Don’t attempt to rationalize whether this is true. Because it is.